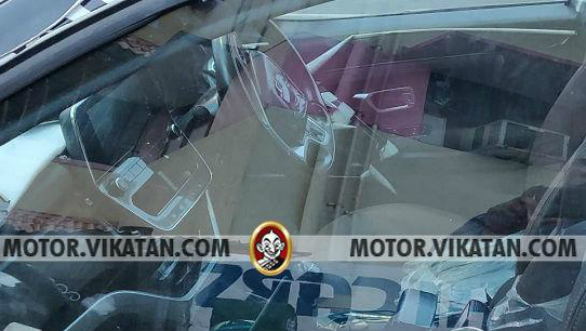 The much talked about Tata Harrier SUV's interior has been spied in more spy photos. 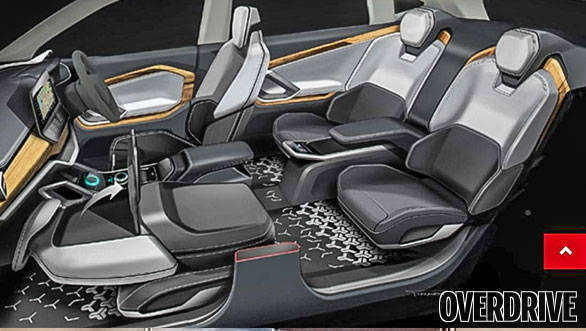 These pictures provide the closest glimpse yet on how the inside of the new SUV will look. The most noticeable feature is the large floating touchscreen placed on the centre of the dash. Another unique design element is the centre console. The section below the screen sweeps out and houses the climate control panels. The overall design and layout is a step forward from what has been seen on cars like the Nexon, and broadly follows that of the H5X concept. The interior gets an all-black treatment with silver accents. There is a new steering wheel but no all-digital instrument cluster. The door pulls finished in an aluminium look especially upmarket. The Harrier will be powered by the Multijet II engine from FCA, as seen in the Jeep Compass. This motor will be supplied in two states of tune - 140PS for the 5-seater version and 170PS for the 7-seater. Both two and four-wheel drive will be available and transmission options will be a 6-speed manual and automatic. The 5-seater should come in the Rs. 9 to 12 lakh price bracket. 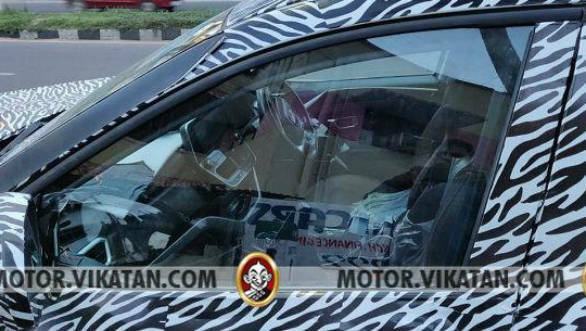 The Harrier SUV is expected to be priced around the Rs 12 lakh mark and compete with the likes of the Hyundai Creat and also the lower spec versions of the Jeep Compass. The SUV will go on sale in early 2019 with production taking place at Tata's Pune plant.